Tow truck greenwood, in. - Best Tow Truck Service in Greenwood, IN. Tow Truck Greenwood is not your run of the mill towing service. We source the number one tow truck companies for your convenience, our number one priority is your safety. When you need your vehicle towed we will be there as soon as possible. Being stuck on the side of the road can be very stressful, and dangerous. You want a reliable, responsive company for your emergency tow truck needs. We want to help you, by getting you, and your car out of harms way. Call us to get you and your passengers out of the rain, snow, or just cold, or heat. We have the best competitive rates serving Greenwood, South Indianapolis, Franklin, Whiteland, Edinburgh and all points in between. 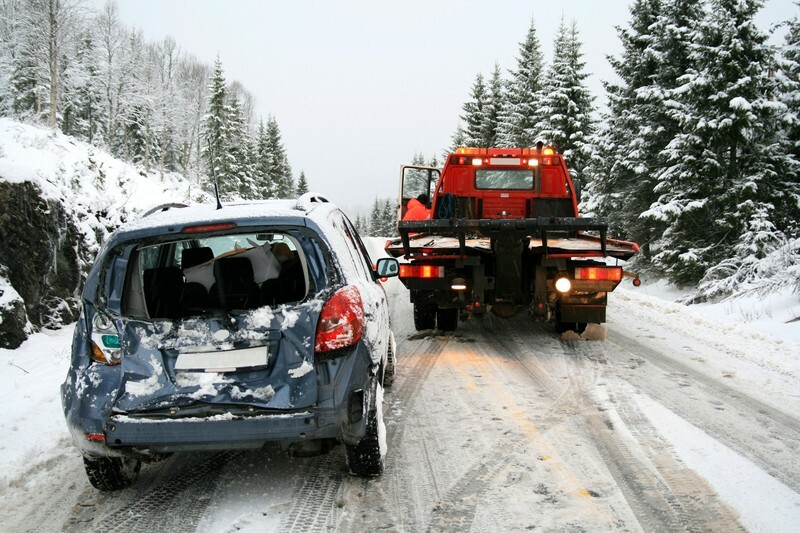 Your insurance policy may cover all or part of the cost for your towing charges. Check with your insurance company. Engine trouble, maybe you just ran out of gas. Don't feel bad it happens. You thought you could make it to the next gas station and then the car just quits. We can bring you gas and get your auto started, to get you to the next service station. Automobile break downs happen from time to time. If it happens to you, it's almost always at the most inconvenient time, and place. We can tow your car to the mechanic. We will deliver your car to the garage or service center of your choice. Our roadside assistance services are second to none. If you have a slide-off, and your stuck in a ditch, or stuck in a snow bank, we'll be there to winch you out. Flat tire on the side of the road, in a parking lot, or have you ever come out to your automobile to go to work, the grocery store, soccer practice, or church and your tire is flat. Give us a call and we'll be there shortly, to give you a quick tire change. We'll do our best to get you to work on time. When you lock your keys in your vehicle it's a helpless feeling. Maybe the car is still running. Lock outs happen more than you may think. Don't panic. Just give us a call, and we'll show up to help you out of a bad situation. My battery is dead. There are many causes for a dead battery. Your lights were left on, your door was left open, your batteries just got old, or your charging system isn't working correctly. Maybe you just need a jump start. Don't worry give us a call we can help. Traffic accidents happen every day, and just like everyone else, you hope it doesn’t happen to you. The national average according to the car insurance industry estimates, are that you will file a claim about once every 17.9 years. That's for an average driver. You're probably better than average. So, if you received your license at age 16, odds are you will have an accident by age 34. In fact, in the lifetime of your driving you will, according to statistics, have approximately 3 to 4 traffic accidents. So drive safely, avoid driving impaired, texting while driving, In short, avoid distractions while driving. However, when, or if it does happen to you, we will be there to help you out of a bad situation. How long has that broken down automobile been in your yard? Trees are starting to grow up through it. Weeds are almost covering it. OK, it's been there a while, and it's an eye sore. Maybe the neighbors have complained about it, and it could be a danger for children. You've been thinking, I really need to get rid of it. You were going to fix it, but never got around to it. Call us and we will take care of it. It could even be worth some money $$$$. There is a vehicle abandoned in, or around your private property. You are not sure what to do about it, and don't know who the owner is, but you know you want it gone. We can take care of the problem for you. In 1916 a man by the name of John Wiley drove his Model T Ford down into a creek bed near Chattanooga, Tennessee. He not only got it stuck but rolled it over, Among the 6 rescue workers was a man named Ernest Holmes Sr. It took the 6 men about 8 hours to get the car out of the creek. Thinking there must be a better way, Ernest Holmes went back to the garage and started working on what was called a Hoisting Apparatus For Automobile. 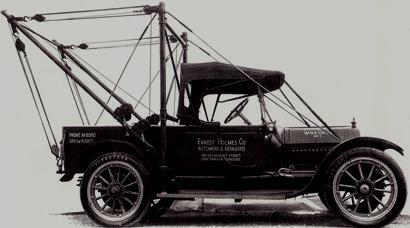 His design was bolted on the back of a 1913 Cadillac, since trucks were still in there infancy stage. 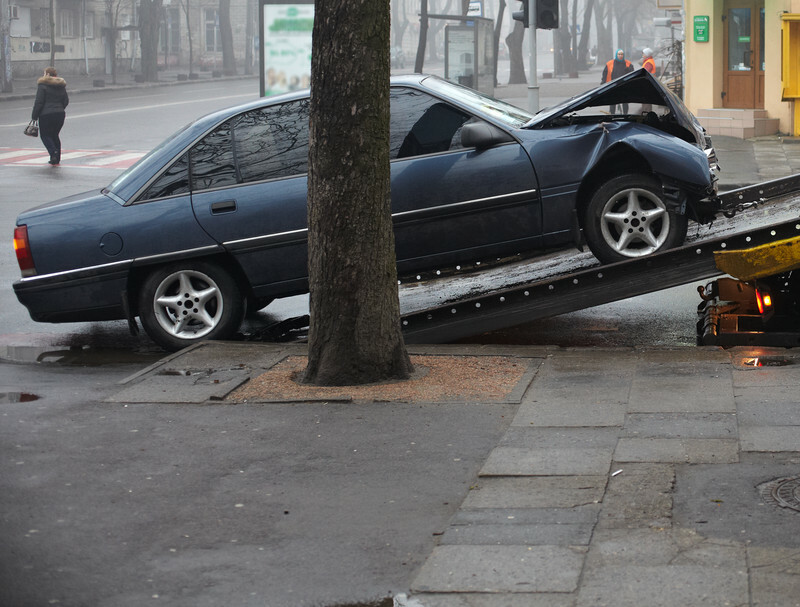 The first time he takes his new tow truck out to help another motorist it failed. The rescue workers had to fall back on the old manpower solution. He soon realized what was wrong with his wrecker. He went back to the drawing board and modified it with a pair of outriggers. This was to stabilize his design while hoisting vehicles. He Knew, in spite of the people who had no faith in his idea, including his Mother and Father that there was a need for his tow truck, Maybe because his neighbor L. C. Decker who assisted him, lost an eye while out on a job rescuing a vehicle the manual way. A true American success story of ingenuity. . 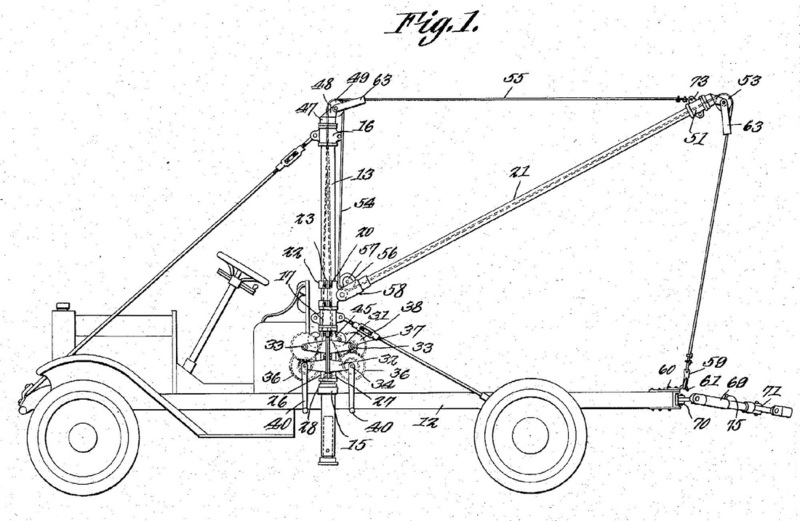 In November 1917 he filed for a Patent US1254804 and his patent was granted January 1918. With his patent secured he started building his brand of wreckers which he mounted on the back of used cars, his first production model was the Holmes 485 which sold for $485. His business continued to do well until the US join into World War II when the materials for his tow trucks were nonexistent or in short supply. The Holmes Company did well even through the Great Depression not laying off a single worker. The Holmes Company received a contract from the Federal Government to build recovery vehicles and bomb-loaders during the war which kept the company going until his death in 1945.